The Black Country’s fastest-growing manufacturers have increased employment levels by 32% and grown revenues by 44% in the last three years, according to analysis by accountancy and business advisory firm BDO. According to BDO’s Black Country Growth Barometer, manufacturing is the strongest industry in the region and continues to play a vital role in the local economy. The 20 fastest-growing manufacturers in the Black Country have increased employment levels to almost 3,500 people – up 32% in the last three years. Combined, they have also boosted revenues by 44% to almost £1bn. Leading the league table is Wolverhampton-based family-owned paper products maker, Task Consumer Products, which has increased turnover by more than 62% over the reported period. Dudley-based Davro Steel, at number two, has grown 44% and Walsall’s SPG Packaging rounded off the top three with 32%. Other businesses featured in the fast-growth list include Wednesbury-based Star Precision Tools, which manufactures components for the automotive industry including the highly sought after second-generation Range Rover Evoque. 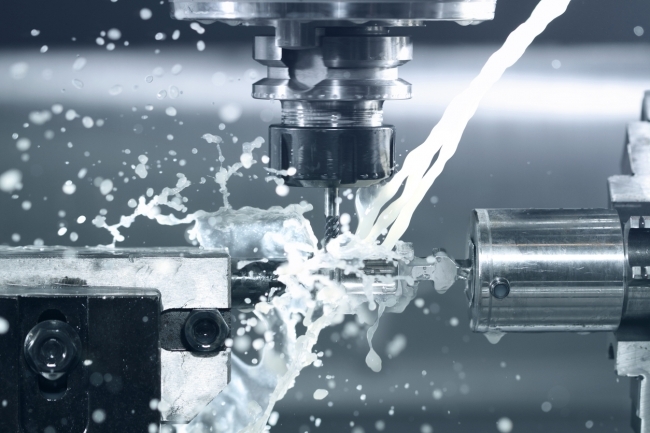 In December, the company received a £100,000 cash injection from Frontier Development Capital’s National Tooling Loan Fund. Vacuum Furnace Engineering (VFE) and Clamason Industries – named number five and eight respectively in the top 20 – have both witnessed good growth and credit their training schemes for attracting and retaining top talent in the sector. CEO of VFE, David Byrne, has doubled the size of its workforce in the last three years. He said: “The region is a hotbed of manufacturing talent and we have access to a good base of skilled people. However, where does the next generation of engineers come from?” VFE’s management believes its revamped apprenticeship programme and state-of-the-art training academy are crucial to its future success. Clamason Industries has embarked on apprentice schemes and training programmes with Dudley College of Technology and says almost 10% if its UK staff are on the schemes. 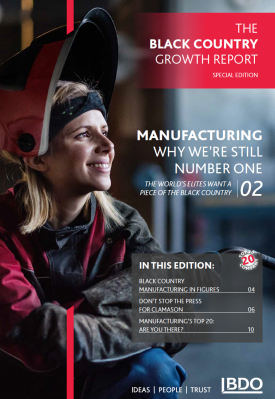 Nicola Cooper, senior manager in the Midlands manufacturing team at BDO, who authored the report said: “The Black Country continues to be synonymous with manufacturing excellence and the performance of the fastest-growing companies in the region is testament to that.